Do you need to hire a van at a competitive local rate? Then you’ll want to take our number down now – 020 8746 9686. 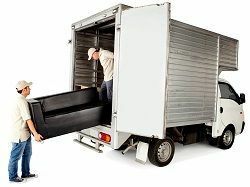 Our firm has an incredible range of small and medium-sized vans which you can hire seven days a week, 365 days a year. So if you have furniture, boxes or stock which you need to move then don’t waste your time calling anyone else. 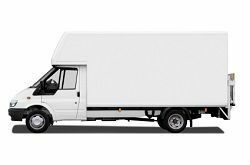 Man with Van London has the largest fleet of van hire vehicles around as well as the cheapest prices in town. If you ever think that you’ve found a better deal anywhere else then our customer services team will even find you a match. Unlike some other local firms, we can also guarantee that all of our vehicles are modern and reliable, and that they will always give you a perfectly smooth ride. If you’ve never driven a removal van before then there really is no need to worry. All of our removal vans are easy to drive and are exceptionally well-maintained. For anyone who needs that little bit reassurance, our team can even give you a quick lesson before you set out on the road! When you’re moving more than a couple of boxes it can be hard to estimate what size van you’ll need and how long you’ll need it for. However, with our knowledgeable customer services team this no longer needs to be an issue. Unlike some sales offices, our workers are friendly and honest and will never try and force you into a sale. Instead, our team will always endeavour to find you a van which is perfect for your moving needs and will never try and charge you for something that you don’t need. If you’re running a little bit behind schedule then there is also no need to worry about extortionate late charges or additional fees, as we know exactly what it’s like when the little things get in your way. As we have an extensive fleet of van hire vehicles, we offer flexible services which can be changed to meet your needs. So if you need to keep your removal van overnight or just for a few more hours, don’t be afraid to give us a call on 020 8746 9686. Our customer services team will always be happy to help. If you’ve ever been let down by a van hire firm in the past then you will know just how difficult it can be to get things back on track. But with our reliable fleet there is no longer any need to worry as we are guaranteed to have your moving van available at exactly the right time. If you can’t get to the local depot to collect your moving van then our team can also arrange for it to be dropped off and collected from right outside your door. So if you’re moving flat or putting some items into storage, why waste time and money trying to get a lift to our place. All of our vehicle hire packages can include drop-off and pick-up services and are sure to leave you with a smile on your face. If you need a van rental for business purposes then you won’t be disappointed with our removal vans either. All of our truck rentals are clean and well-maintained and won’t bring your business image down. So if you need to make a van booking for personal or professional reasons, don’t forget our Man with Van London phone number – 020 8746 9686. Our truck hire options are cheap, flexible and of an exceptional quality and will never leave you in need of anything else.